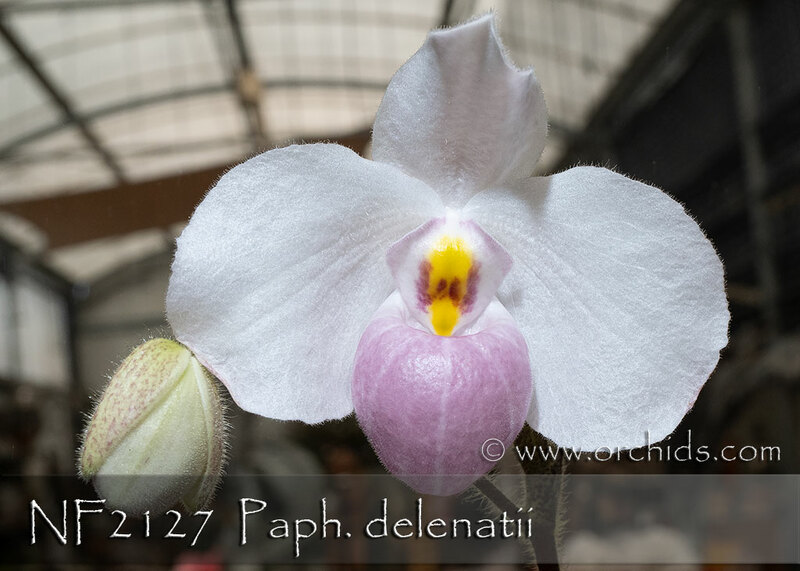 An amazing new strain of this delightful species as a result of sibbing two Taiwan Paphiopedilum Society awarded clones ! As a result, this strain will bring a different breeding line to the US, producing large flowers with a heavy flower substance. 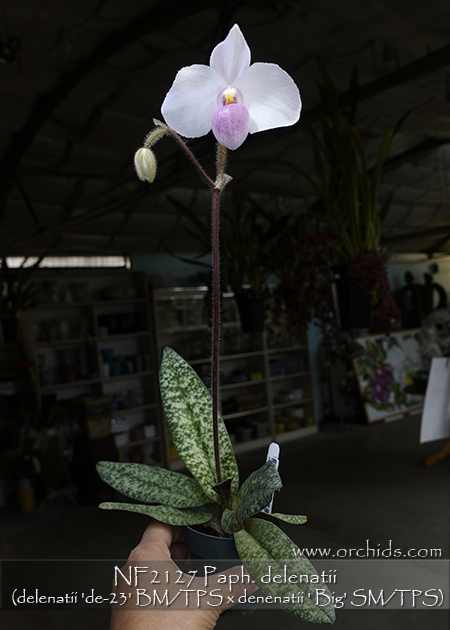 Its broad attractively marked foliage adds its own additional charm to this ever-popular Paph. species ! PLEASE NOTE: Since this is a Seedling Population (not a Mericlone which produces exact duplicates), the picture is for illustration purposes only. No two plants will be the same from this cross, and they will flower in a range of possibilities coming from the two parents.